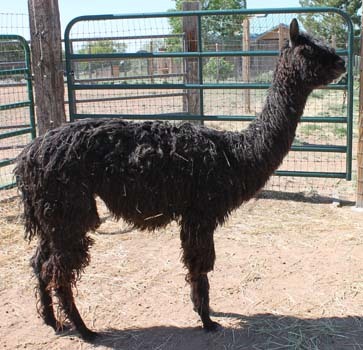 BlueMesa Marquis’s sire, the bay black Candlewood Havana Marquis, is a handsome blue-ribbon winner with locks that are solid and dense with great luster and coverage. Candlewood Havana Marquis’s sire is none other than the exceptional silver grey Platinum Marquis, a third generation silver grey. Dark silver grey SNR Calypso has wonderful silky fiber that is beautifully locked. Calypso has beautiful conformation and locks that are dense, with great luster and coverage. Calypso has a very distinguished pedigree. Calypso’s dam is sired by Grayfiti/Magnifico and her sire GLR Baranoff is sired by Gunsmoke/Condor. She is a full Peruvian, fourth generation grey. 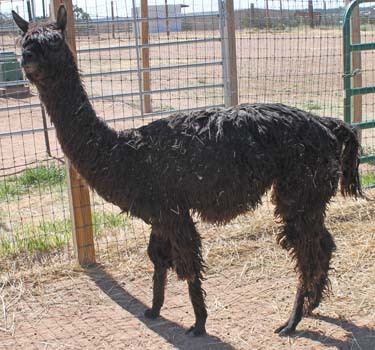 With excellent conformation, rich black coloring, & exceptionally fine fiber, BlueMesa Marquis has all of the ingredients that make up a superior herdsire. 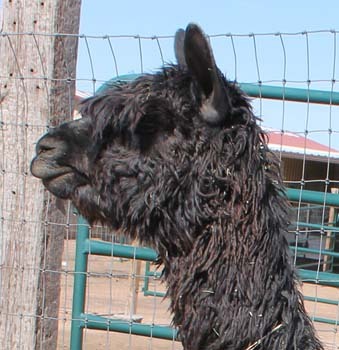 This very lustrous full Peruvian suri boy comes from a long line of champions. BlueMesa Marquis’s sire, the bay black Candlewood Havana Marquis, is a handsome blue-ribbon winner with locks that are solid and dense with great luster and coverage. Candlewood Havana Marquis’s sire is none other than the exceptional silver grey Platinum Marquis, a third generation silver grey. BlueMesa Marquis’s dam, dark silver grey SNR Calypso, has wonderful silky fiber that is beautifully locked. Calypso has beautiful conformation and locks that are dense, with great luster and coverage. Calypso has a very distinguished pedigree. Calypso’s dam is sired by Grayfiti/Magnifico and her sire GLR Baranoff is sired by Gunsmoke/Condor. She is a full Peruvian, fourth generation grey. 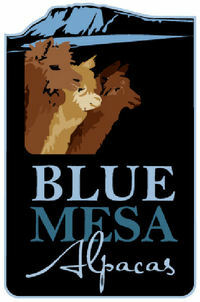 Thus BlueMesa Marquis inherits great dark color genetics from his dam’s side as well as from his sire’s side. If you’re ready to improve the quality of your suri herd, BlueMesa Marquis, with his fantastic fiber and superior genetic credentials, is a great choice for you!